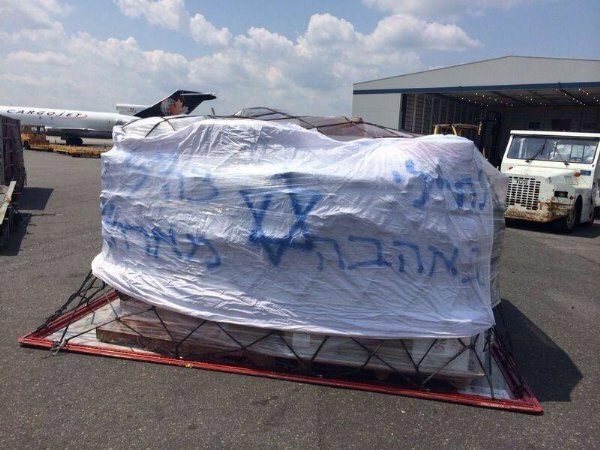 New Jersey Jewish institutions have teamed with El Al security at Newark Liberty International Airport to ship tons of requested personal goods to Israeli soldiers serving in Operation Protective Edge. 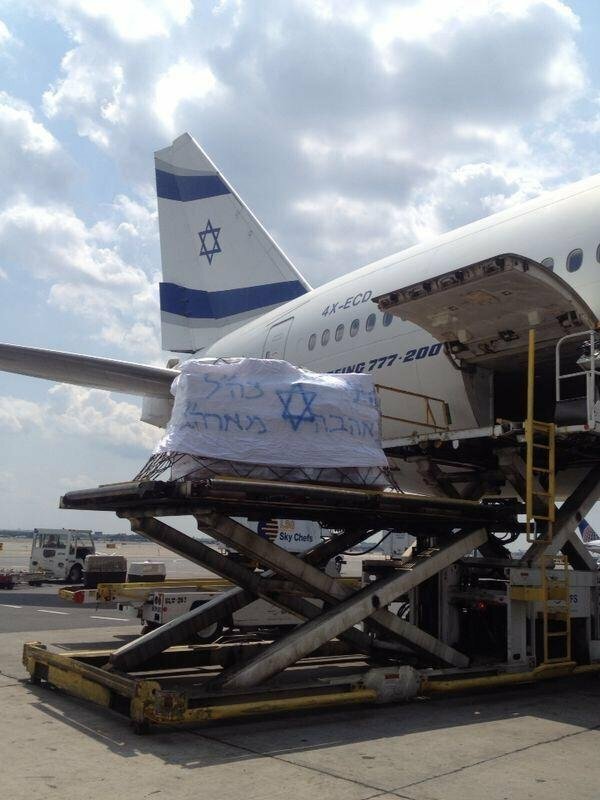 Shipments of undergarments, socks, snacks, and toiletries are likely already in the hands of soldiers deployed in Operation Protective Edge, along with letters and cards written by youngsters from Rutgers Chabad’s Gan Israel camp in Piscataway, some of whom accompanied a delivery to the airport. The project was the brainchild of IDF veteran Boris Hazanov, an El Al security officer, who contacted Rabbi Mendy Carlebach, a chaplain for the Port Authority of New York and New Jersey and director of the Chabad House of North and South Brunswick, an affiliate of Rutgers Chabad. Hazanov is an electrical engineering and computer student at Rutgers. 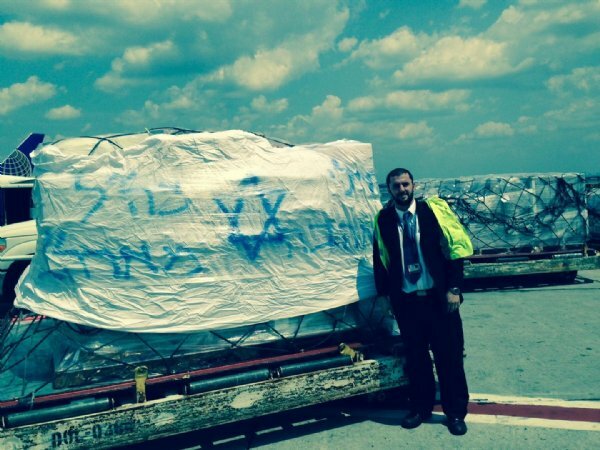 Nir Yaniv, El Al’s director of security at Newark, arranged for eight boxes to ship for free on the airline, which also agreed to send additional shipments at the reduced rate of $1 per kilo (2.2 pounds). Carlebach reached out to his many contacts, including Jacob Toporek, executive director of the NJ State Association of Jewish Federations, who passed along the message to federations across the state. Their messages produced such an avalanche of items that three days later Toporek sent another e-mail asking that federation donations be halted. Other donations were solicited through the camp, a drive in the Jewish community of Hillside and Elizabeth, and at Congregation Sons of Israel in Wayside, where Rutgers Chabad executive director Rabbi Yosef Carlebach is also religious leader. Shipments have cost about $3,500, about $1,200 of which was donated by El Al’s security staff. “We are happy to send more but we can’t afford to give more from our salaries,” said Hazanov, a native of Georgia in the former Soviet Union who made aliya in 1990. Dr. Nathan Zemel of Newark, medical director of Hatzalah Volunteer Ambulance Corps of Union County and of Hatzalah of Newark, said he and Chaim Cillo of Hillside organized the Elizabeth and Hillside drive after being contacted by Mendy Carlebach. “We feel it is our duty to provide support for Jews doing their best to protect us in different parts of the world,” said Zemel, who has a medical practice at Newark Beth Israel Medical Center. Mendy Carlebach said in addition to personal items, donations were still being collected to defray shipping costs.